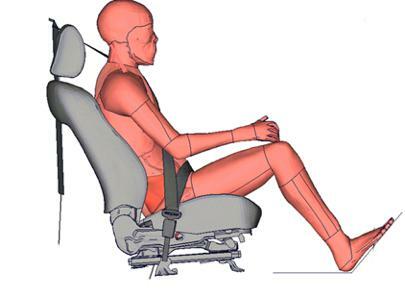 Current crash test dummies can be used for crash load cases, but not for pre crash scenarios or for seating positions, which plays a role in highly automatic drive modes. For these topics, we are using human models. With theses models, more realistic results can be obtained. In different projects, our engineers have developped tools and processes so that we are ready to work on your projects. IAT is „Associated Partner“ of THUMS User Community (TUC). A wide range of competence in application of human models is available in IAT.